I made these over the weekend, and barely had them posted before someone snatched them up. 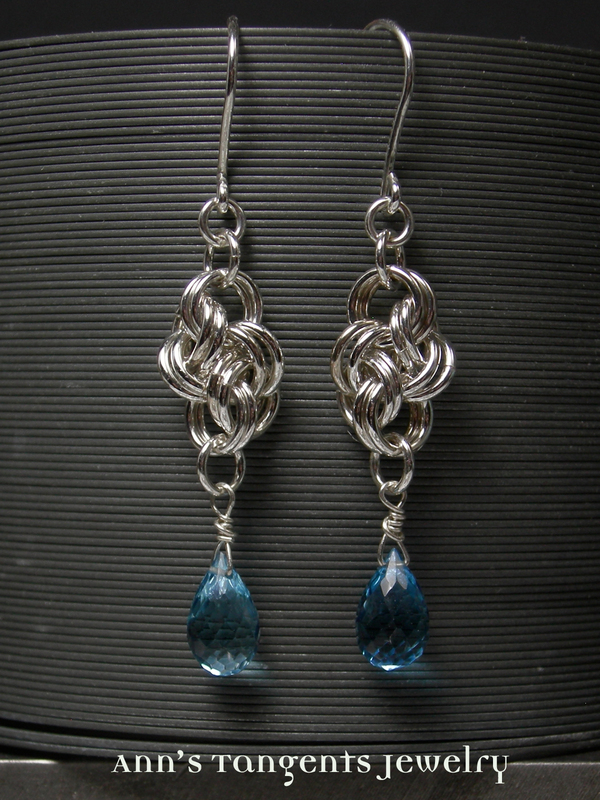 Fortunately, I can make more, either with London blue topaz as pictured, or your own favorite stone. 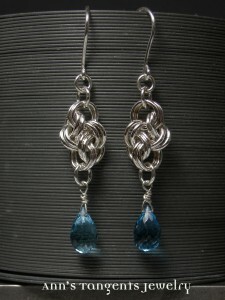 With London blue topaz drops as pictured, $75. Price varies for other stones. Do your keys need a friend?